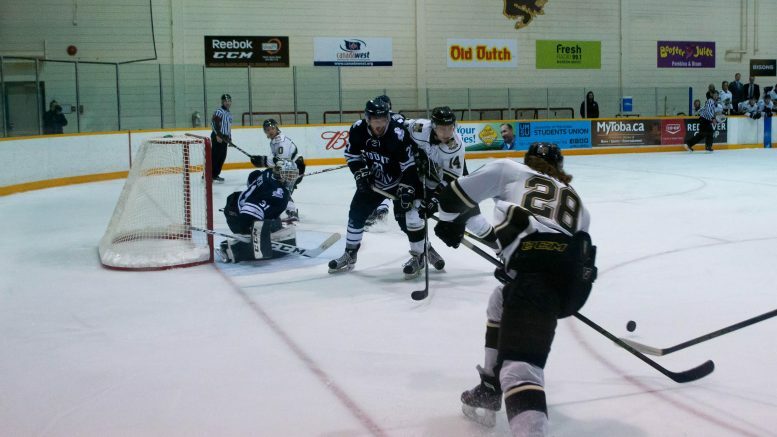 This weekend, the University of Manitoba Bisons men’s hockey team went out to Regina to play a two-game series against the Cougars. The Bisons won comfortably on Friday by a score of 5-1, and finished the weekend off with a 6-3 win on Saturday. The Bisons are now 2-2 on the year and sit in a three-way tie for fourth in the Canada West. Captain Jordan DePape returned after missing the first two games against Mount Royal with an injury. He registered an assist in the win. Byron Spriggs stood tall for the Bisons in between the pipes, making 37 saves in the win. It was a penalty-filled affair, as both teams committed a combined 30 minutes in penalties. Neither team was able to capitalize on the power play, with the Bisons going 0-for-4 and Regina going 0-for-3. Stovin talked post game about what he thought helped turn the tide in the Bisons favour after a strong start from the Cougars. 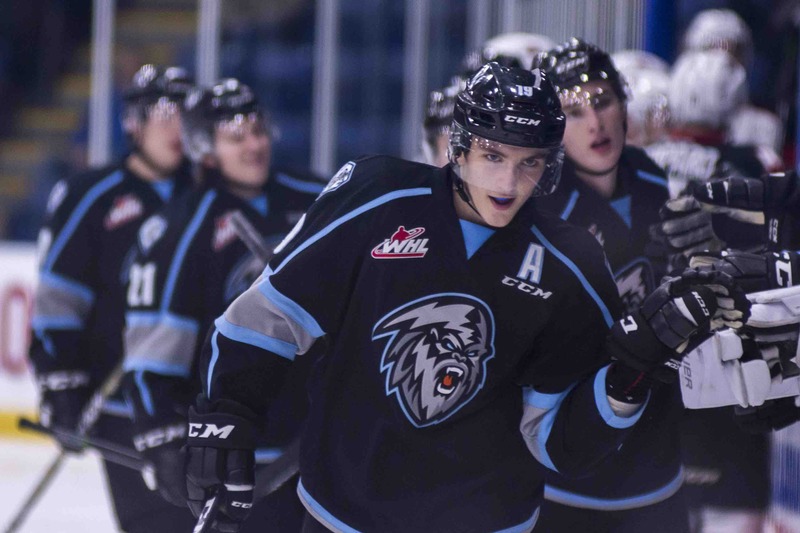 “The Cougars came out hard and were taking it to us but one key moment tilted the ice away from us, partway through the first on the penalty kill, Warren Callis and Joel Schreyer had numerous blocked shots energizing the bench,” he said. The Bisons scored two more power play goals in the second from Regina gave Manitoba a bit of a scare in the third by scoring a pair of goals to draw within one goal. Augert scored his second goal of the weekend with five minutes remaining and Callis would get an empty-netter to seal the deal. Augert was hot all weekend, registering four points on the weekend and through four games he has five points (4G, 1A). Stovin was also big in the pair of wins; from not getting on the score sheet against Mount Royal last weekend, he turned it around and scored two goals and chipped in with three assists. Stovin commented post-game about the play of the Bisons in their two game series over the weekend. “It was a solid team effort throughout the weekend. With the injury bug hitting us on the back end we relied on Friesen and me to play defence along with some line juggling up front in the final game of the weekend but we found some quick chemistry,” he said. The Bisons are at home to play the UBC Thunderbirds on Oct.28-29 at the Wayne Fleming Arena.